Or view larger version. Photograph of Indian sweat house, Pecwan. ca. 1900. A. W. Ericson, Photographer. Photograph. Collection of Oakland Museum of California. Gift of A. W. Ericson. 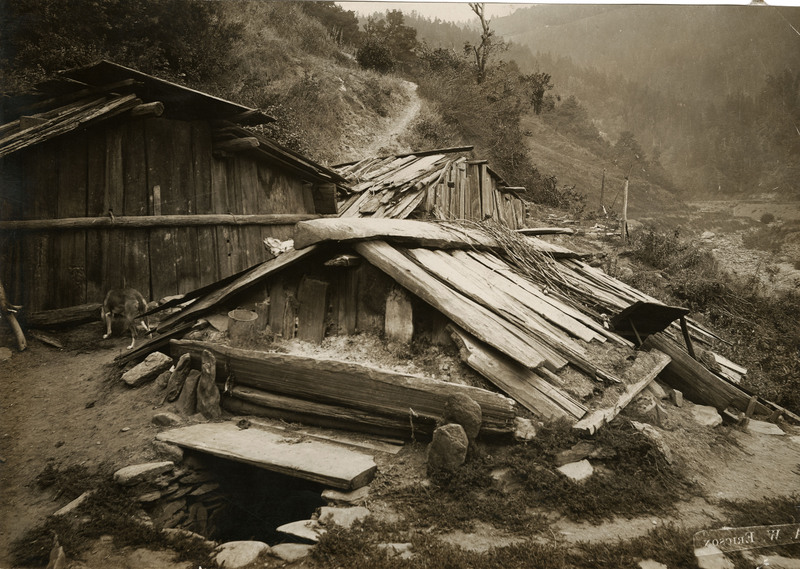 This is a photograph of an Indian sweat house that was used by the Hupa tribe. The sweathouse served as a gathering place for the men of a village where they would purify their bodies through sweating. This practice was particularly important before a hunt, when the smell of a person could give away a hunter’s position. Sweating was used for cleansing and purifying one’s spiritual self as well as one’s physical self.